Serious study of go causes actual physical changes in the brain. That’s the stunning finding of a Korean group of neuroscientists who studied the difference between “long-term trained players” and“inexperienced controls.” In their paper, which appears in the August 2010 issue of Neuroimage, Lee et al. 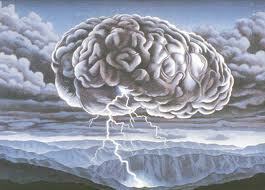 report that they found “larger regions of white matter . . . that are related to attentional control, working memory, executive regulation, and problem-solving.” Their findings also suggest that “experts tend to develop a task-specific template for the game, as compared to controls . . . [and] were less likely than were controls to use structures related to load-dependent memory capacity.” In other words, experts don’t think harder, look at more variations or read farther than the rest of us; they use “spatial processes” – pattern recognition – to see better moves than the rest of us immediately. The researchers used a special type of fMRI –voxel-based diffusion-tensor imaging — to compile their data. This is a fairly well-established method: last year British researchers used the same process to show that “motor learning” – in this case, juggling – produced similar changes. The findings that strong players use something like “intuition” to see better moves tends to confirm previous research such as Chase and Simon’s classic 1973 study, where it was discovered that master chess players see more meaningful “chunks” when briefly glancing at a position than “woodpushers.” “Chunk theory” is now a widely accepted way of understanding how trained brains work. Reitman’s 1976 paper furthered our understanding of expert processes by studying an “expert” go player (Jim Kerwin, who went on to become the first Western pro) and then-beginner Bruce Wilcox (later the author of NEMESIS, the first computer go program) and confirming the basic tenets of “chunk theory.” Other research has examined whether go playing brains may have different — and hopefully more desirable — general qualities than non-playing brains. The Deoksoo Study is one of several suggesting that serious go students may acquire more sophisticated cognitive abilities in other areas. In 2003, Chen et al. showed that go players use many different areas of the brain; similar chess studies have shown more localized activation. Lee et al.’s study takes our understanding one giant step further – high-level cognitive training has a physical impact on the brain, just as hitting the gym does for the body. This finding has enormous implications for the eternal “nature-nurture” debate. The current conventional wisdom is, “We are what we’re born with,” not “We are shaped by our experiences.” The brain’s ability to think clearly, manage emotions and perform the other work that makes us human is seen largely as biological, inborn, brain-based. “Big pharm” ads tell us over and over that the way to fix our depression, anxiety, bipolar disorder, ED, etc. is to tweak our brain chemistry with a pill. Teachers and parents often label struggling students, then begin the quest for the perfect pill that will fix the ADHD, bipolar disorder or whatever. But what if the pills don’t work? If it’s an inborn biological problem, what’s the solution? Fortunately, we now know that certain kinds of experience can actually improve the physical brain. As the authors say, “long-term Baduk training appears to cause structural brain changes associated with . . . higher-order cognitive capacities, such as learning, abstract reasoning, and self-control, which can facilitate education and cognitive therapies.” Other questions now arise. Are some activities more growth-promoting than others? Probably. Does the brain change more in players who begin at a younger age? Does the increased white matter in go players’ brains just help them to play well, or is the increased “throughput” capacity useful in other areas as well? One would think so, but there’s no evidence – yet. To learn more, check out “Go and Cognition” by Peter Shotwell, in the Bob High Memorial Library. 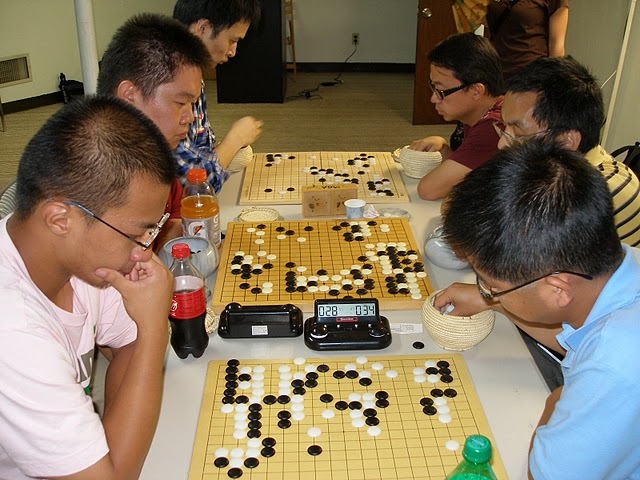 The American Go Association’s 10 rated games requirement is again under fire, this time from Feng Yun 9P. 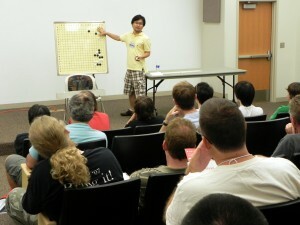 In a lengthy posting to AGA chapters on Friday, Feng Yun – whose go school in New Jersey has trained many of the new generation of top players — said that the rule, which requires that potential participants in international events have played at least ten rated games in the preceding year, excluded her from play in the Bingsheng Cup World Women’s Weiqi Championship, a new international women’s tournament to be held in China. While extending congratulations to Canadian Cathy Li, who won the qualifier, Feng Yun said that “the AGA decision not to allow the top US women to compete is shameful.” There was no official AGA response by press-time Monday night; look for a follow-up report on the AGA website later this week and in next week’s E-Journal. Guochen Xie (front left) won the Boston Go Open on Sunday, August 29, topping a field of 26. “It’s a really competitive tournament and no player won all four games,” reports organizer Ke Lu. Three players were 3-1 in the open division, with Guochen Xie winning on SOS, Yunzhe Zhang runner-up and Jie Liang in third. The top four in Division A: 1st: Eric Osman; 2nd: Rebecca Torrey; 3rd: Eva Casey; 4th: Danny Yoo. Top three in Division B were: 1st: Bowen He; 2nd: Deguang He; 3rd: Marjorie E. Hey. Click here for more photos. photos courtesy Ke Lu. Han Zenki and Tsuruyama Atsushi advance in Daiwa Cup: Surprising second round results from the Daiwa Cup have two of Japan’s top professionals being defeated by less well-known 7 dans. The first was Han Zenki 7P who defeated current Daiwa Cup title holder Kono Rin 9P by resignation. 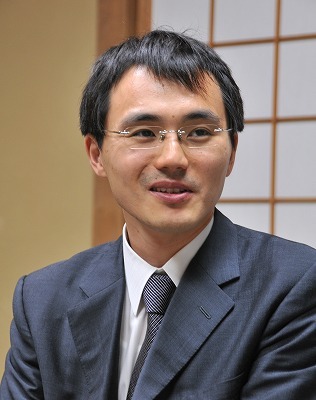 The second was Tsuruyama Atsushi 7P who defeated O Rissei 9P by resignation. Han became a pro 1996 at age 19, while Tsuruyama turned pro in 1999 at the age of 18. Mukai Chiaki to challenge Xie Yimin for Female Honinbo: In the final challenger-decision match for the 29th Female Honinbo, Mukai Chiaki 4P defeated Umezawa Yukari 5P by resignation, giving her the nod to challenge Xie Yimin 5P for the title. Mukai Chiaki is 23 years old, became a professional in 2004, and was promoted to 4 dan just this year. She is a student of Honda Sachiko. Her two sisters, Mukai Kozue 1P and Mukai Kaori 2P, are professionals in the Nihon Ki-in as well. The first round of the title match will be played on October 6th. Olleh KT down to eight as Yun Junsang 8P defeats Kim Jiseok 7P: In their sixth round game, Yun won by resignation over Kim in the inaugural edition of the Olleh KT Cup, which is a Korean professional tournament sponsored by the telecommunications company Olleh KT. This is their first sponsored tournament with total prize money of 700 million won. TARANU WINS ROMANIAN MASTERS: Catalin Taranu 5p won the 2010 Romanian Masters, held August 25-29 in Iasi, capital of the Romanian province Moldavie. 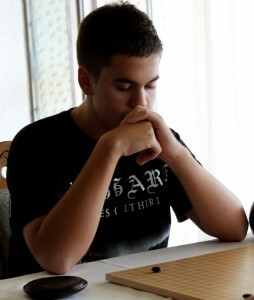 Artem Kachanovskyj won the first edition of the Iasi Cup, held August 27-29 in the same place. SHIKSHIN NARROWLY WINS LEKSAND OPEN: Ilya Shikshin won the August 10-12 Leksand Open in Sweden, just a point ahead of Kyoungnang Kang. Strolling through the vendor area at this year’s U.S. Go Congress, I realized that it’s time for some updates on what’s happening recently in the small but active world of go publishing. Watch for posts over the next few weeks and feel free to email me with suggestions of 2010 go books I should mention. 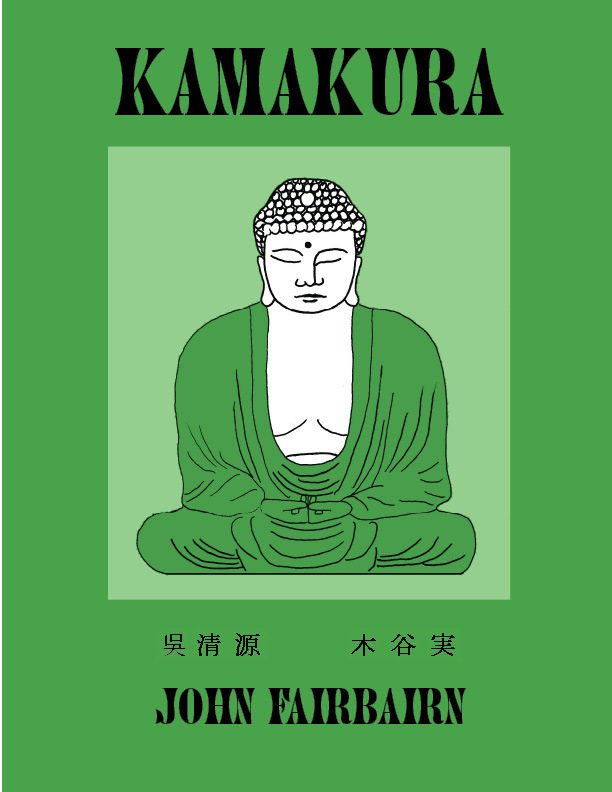 The first thing I noticed was that it’s been a busy year for GoGoD co-author John Fairbairn, who has embarked on an ambitious project with his publisher, Slate and Shell: a series of books on the ten-game matches Go Seigen played when he was at the top of the go world. 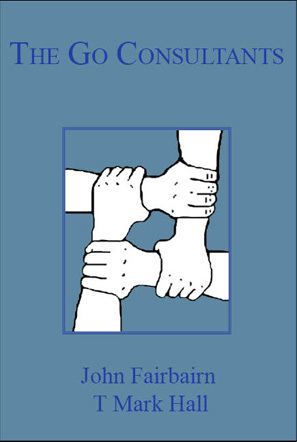 Drawing on multiple original sources, each book provides extensive historical material, and integrates game commentary from a variety of sources. Kamakura, covering Go’s first matchup during WW II with Kitani Minoru, came out last spring. It was followed by Final Summit, describing the last jubango, against Takagawa Shukaku in 1955-56. Then came 9-Dan Showdown, focusing on two ten-game matches and two shorter encounters with with Fuijisawa Kuranosuke (later Fujisawa Hosai), one of the great players of the 1940′s and 1950′s. 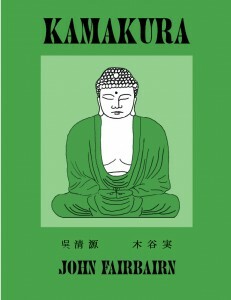 In a change of pace, Fairbairn also translated The Go Consultants, in which Kitani and Seigen team up against Segoe Kensaku and Suzuki Tamjiro for a “consultation game.” Inspired by a similar practice among Western chess masters, in a “consultation game” the two-player teams discuss the game while it is in progress. Stay tuned — more exciting titles are on the way! In a true Cinderella story, Sakai Hideyuki 7P has become the new Gosei by defeating Cho U 9P by 2.5 points in the fifth and final round of the 35th Gosei, winning the series 3-2. This is Sakai’s first major title win, which also ended Cho’s four consecutive years of holding the Gosei title. Sakai’s only title win prior to this was the Kansai Ki-in Championship in 2003. 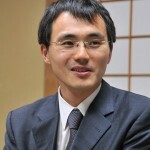 For a long time, he was the strongest amateur go player in Japan, and by winning his first major title at 37, he has defied those that say that only youth can accomplish such things. 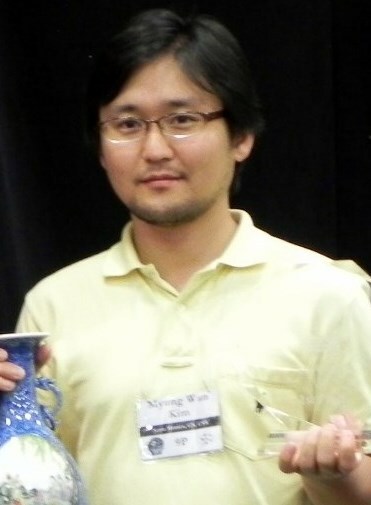 When he won the World Amateur Go Championship in 2000, he was awarded professional 5 dan by the Kansai Ki-in (after defeating two 5D and two 7D players). He was also the first player in Japan to be awarded a special amateur 8 dan diploma. Barely a month after launching, IgoLocal already has more than a thousand users. 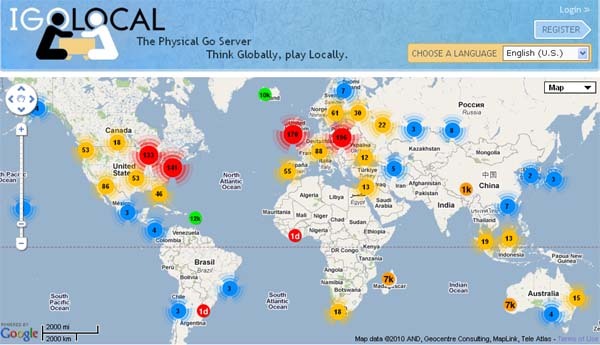 IgoLocal enables players to find and contact each other, and there are now 1131 users in 62 countries, with 449 of those in North America and 570 in Europe. The network is growing at 35 new members each day, reports founder Chuck Thomas, “and that number is trending upwards.” Users “are still figuring out how to use the system to the best benefit of their communities,” says Thomas. “1,100 users may sound like a lot of go players, but it’s actually an absurdly tiny number when spread throughout the entire planet.” Thomas says he can “easily envision a quarter million users on this system,” and says that “At the current rate, it may be another two months before we begin to reach critical mass. This is fine – the users who are already on the system are able to go about their business, and one day they’ll receive a PM or even a game challenge from a previously-unknown rival, who is well matched to their rank.” Thomas points out that “Igolocal keeps working for you even if you forget about it for a while,” and admits that “Even I have only the faintest idea what the end result will be. This has never been done before.” Two hundred of the IgoLocal users are dan-level or stronger and two professionals are also registered, Jennie Shen 2p in Santa Barbara, and An Young-gil 8p in Sydney, Australia. The site supports six languages, English, French, German, Dutch, Russian and Japanese, and volunteers are now working on Italian, Polish and Chinese translations.